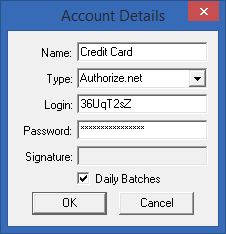 SuperManager has long supported making credit card transactions using leading credit card payment gateway Authorize.net. Further, with many eCommerce platforms it can download orders including the Authorize.net authorization transaction ID and then complete the transaction. However, with some platforms the actual payment type used (ex: MasterCard, Visa, American Express, etc…), masked credit card number (ex: XXXXXXXXXXXX1234) and/or transaction date are not provided with the order information available for SuperManager to download. 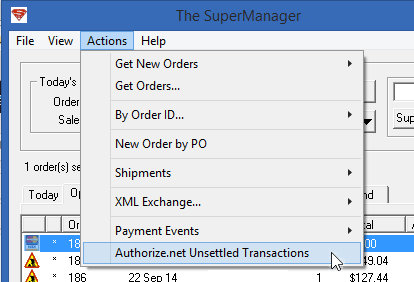 SuperManager can now grab that additional data directly from Authorize.net.